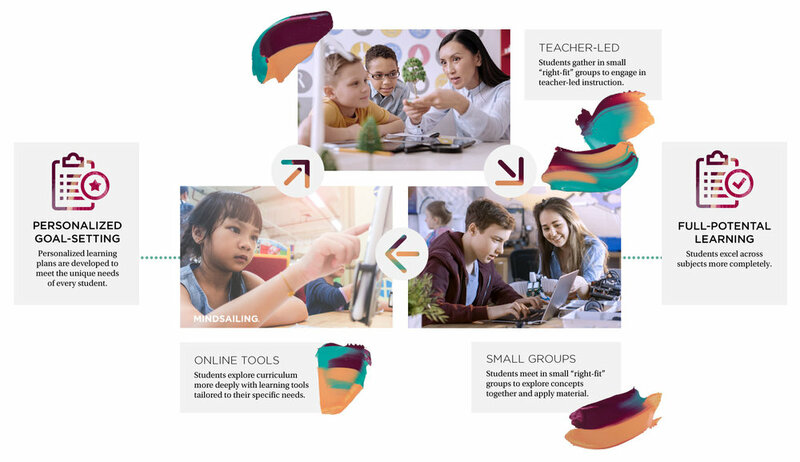 In recent years, personalized learning has found traction as one of the most innovative and effective approaches to curriculum planning in schools across the United States. Stated simply, personalized learning focuses on each student’s strengths and skills as the foundation for a customized learning plan. Implementation in elementary, middle and high-school classrooms has taken many formats – from the integration of technology that adapts to student learning patterns to reversed day structures where lectures are watched at home and “homework” is done during school. Implementing change can be a difficult and confusing process, especially in educational environments being guided by state and federal mandates. To that end, researchers identified 4 key themes for educators interested in transitioning to personalized learning. At the same time, these are a good benchmark for any organization considering a change in process. Clear Expectations of the Challenge. While personalized learning continues to build its case for efficacy, what’s less clear are the challenges a school or district will encounter when shifting their decades-old approach to teaching. Connections Between Stakeholders. It may be tempting to focus on how a curriculum shift will affect a classroom, but it’s important to remember that a teacher has interdependencies with fellow teachers, administrators and district resources. Those connections need to be assessed with plans developed for each. Trace the Journey. Having a step-by-step documentation of the process has been critical for schools transitioning to personalized learning. While each school and district will have different characteristics, similarities are likely to exist around key milestones. Greater Detail = Stronger Insights. Although stakeholders may strive for short explanations for how personalized learning can be implemented, the finer details of case studies ultimately proved the most valuable for educators. As much as personalizing learning is a challenging for educators to implement, it’s equally challenging as a new concept for new parents. Findings from the FSG report dovetail with work that Mindsailing created with Minneapolis-area schools to tackle that challenge. Funded through a grant from GHR Foundation, Mindsailing partnered with Our Lady of the Lake School in Mound, St. Therese Catholic School in Minnetonka and Immaculate Conception School in Minneapolis to make the case for personalized learning. Our work included developing strategic messaging and marketing plans that included banners, brochures and video assets to assist with recruiting new parents and students. In each case, work focused on helping parents understand how the personalized, or blended, learning worked in the classroom. INTERESTED IN GROWING YOUR COMMUNITY? Explore our community design currencies for ways to energize and activate communities around innovative models.